Exceptionally maintained 4BR home on Swanton's Grand Avenue. 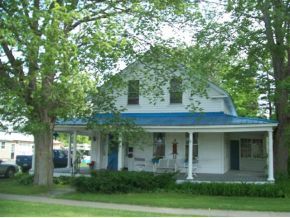 HW floors up and down, large rooms, sun room, rear enclosed porch w/wood stove, living/dining room, den and huge covered porch. .45 acre lot with mature trees and landscaping. Full basement.